I posted a question regarding baseplate compasses last week. Well I have that covered now I need a reliable Altitude, Barometer, Compass watch. Obviously the compass part of watch is not necessary but typically are part of these style watches. I have seen the Lets see you watch thread. I would like some ideas of what you guys that do a lot off off trail travels use. "Obviously the compass part of watch is not necessary but typically are part of these style watches." 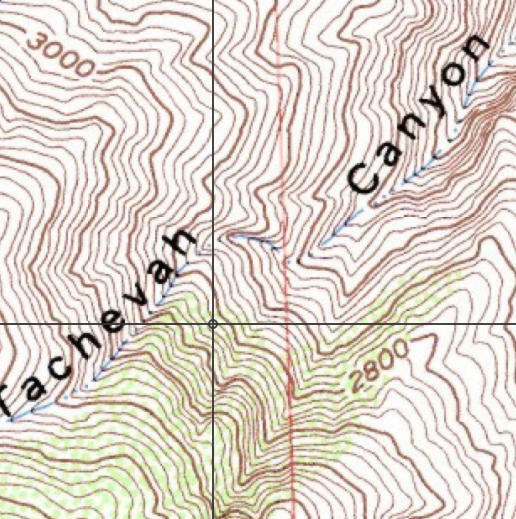 I just use the squiggly lines on my map to determine the altitude. Knowing your altitude can help you determine where you are on those squiggly lines. "I just use the squiggly lines on my map to determine the altitude." I use the numbers rather than the lines. Ordinary GPS receivers can give you moderately good elevation readings as long as it has a good view of the sky. When the view of the sky is very limited, there can be huge accuracy problems. Survey GPS receivers can do much better, but they cost much more money and require more time to develop the accuracy. Barometric altimeters can give you good elevation readings as long as the weather (air pressure) is relatively constant. When a storm is coming in and you suddenly seem to rise by 500 feet, that can be a problem. Topographic maps can give you good elevation readings, as long as you know precisely where you are on the map. So, if the GPS receiver can give you good horizontal accuracy, then that position can be placed on the printed map, and then you get Nick's position from the squiggly lines and numbers. >"When a storm is coming in and you suddenly seem to rise by 500 feet, that can be a problem." Quite true, it can be a hurdle to navigation. An approaching low pressure system which often means bad weather. My mnemonic for that is, "(apparently) Going up the mountain without working is cheating. Cheating is bad. Bad weather is coming." But I still need a mnemonic for spelling "mnemonic". Or it can be an advantage, if you're trying to forecast the weather. >"There is no perfect tool". True. And multiple tools enable you to determine more than a single tool – GPS elevation plus barometric elevation lets you track air pressure and predict the weather, a map and knowing what trail or river you're on plus an elevation nails your location, etc. I had a Pathfinder ABC watch which was fine until the titanium band broke. Since it's unique to that watch, finding a replacement has been a pill and looks like I'll have to mail it to southern California to have it repaired. Whatever you get, I'd recommend that you get one that will accept traditional or NATO watchbands to make your life easier when it breaks. If you go with a watch which requires a unique watch band, do a little research to see if that's something you can get and replace yourself to avoid my boondoggle. If you look on YouTube, there are a few videos where a variety of Suunto and Pathfinder watches are compared side by side to test their altimeters. There are some watch forums too which are helpful. Why not buy a new band and replace it yourself? My original response was going to be $150 plus a lack of confidence that I could do it myself but I just found one on Ebay for $70 so at that price, I'll probably just pull the trigger and take it to a local jeweler if I get stuck. My recommendation remains; I'd look at what it will cost to replace the band when (not if) it breaks. I'd rather replace a $20 NATO band or a $.50 pin than have to fork out $70 for a new band. This is something I've had to do a couple times with my stainless Swiss Army watch. Band isn't as expensive as the Pathfinder's but after the third one, it was retired. I’m kind of a bull in a china shop so your mileage will vary. I like my Tissot T-Touch. I had a Casio Pathfinder before and find the Tissot elevation is more accurate, I wear it all the time because it is more stylish and half the size of other ABC watches. It's not cheap though. I think starting at $500 with the Titanium version over $1000. I found mine 3 years ago on Craig's list for $150.